Low-Budget FPV Mini Multirotor with long Flight Time! - RC FPV Flight - RC Reviews, HowTos & Test Flights! Low-Budget FPV Mini Multirotor with long Flight Time! This means that the complete copter will cost you around 127 USD, only missing a receiver. The maiden flight went really well, given the “non standard” components. The only bad flight characteristics I could detect was when the tricopter descends in its own propeller wash. It tends to get a bit unstable then. But that is a problem for most multicopters outthere. It’s actually quite responsive with the 7″ props and I can’t wait to try out the 8″ props. Very cheap build and so much fun to fly. It is my first tricopter and it feels much more like an airplane (compared to a quadcopter) when flying it. I wouldn’t have thought that I would like it so much. I flew it very gently for 11 minutes. 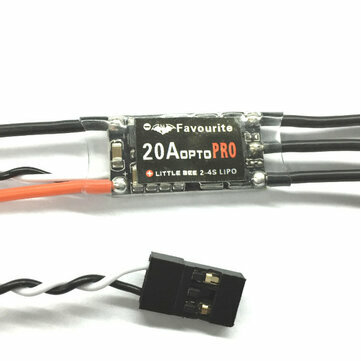 I then had to recharge 1043 mAh into the lipo to get it full again. That means a real-world power consumption of only 5.7 A on average when flying very gently (that is less than the hover value from my bench test, I guess the real world is always a bit different than testing on the bench). I really love this bird. It’s great to try something new, after flying so many quadcopters. It is also a very cheap (158 USD for an FPV copter!) build and the flight characteristics are great.